Background/Info: German formation Sweet William saw the daylight in 1986. Set up by Oliver Heuer and joined by Marius Nagel and Bodo Rosner the band started composing their first songs. While their now can look back at a serious discography, this work brings us back to the first hours of the band. 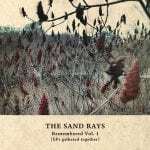 Eleven songs have been selected and recorded for the very time in studio quality. Content: The album indeed sounds as the ‘early days’ of the band, getting us back in the dark magic of the 80s new-wave & cold-wave music. But Sweet William also added certain rock elements in their work. The guitar play brings the 80s nostalgia back alive while Oliver Heuer’s vocals have been performed with passion. The song “Coloured Feelings” will maybe appeal for some fans of The Mission. + + + : I’m always a bit skeptical when a band moves back to the early days of their history, but I’ve to say that this album is a fascinating and fully entertaining piece of music. The rock-wave mix sounds great and passionate. It has been a real good idea to release this album. I don’t know how the original versions sounded, but this album has a typical 80s flavor carried with a real good production. 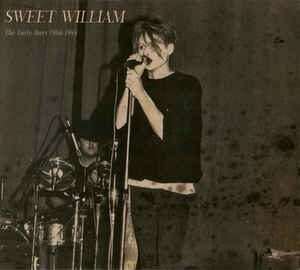 No doubt Sweet William did a great job to improve the original sound quality of the songs. 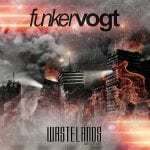 The artwork of this digipak also features several pictures from the band’s early days. – – – : I’m now always a huge fan of bands releasing their ‘old’ and forgotten stuff, but I’ve to admit that there’re always a few exceptions to the rule and this album makes sense. Conclusion: This album doesn’t bring anything new and yet it’s an opportunity to discover ‘old’ songs of this band for the very first time. This is a cool look back! Best songs: “Coloured Feelings”, “Another Place”, “Nailed To The Ground”, Four Days”.